Russian ombudsman asks penitentiary authorities to address opposition figure's complaint | Russian Legal Information Agency (RAPSI). MOSCOW, November 20 (RAPSI) – Russia’s Commissioner for Human Rights Tatyana Moskalkova has turned to the Ombudsman for the Arkhangelsk region and the Head of Russia’s Federal Penitentiary Service asking them to address a complaint lodged by a convicted opposition figure Sergey Mokhnatkin. The press-service of the Rights Commissioner told RAPSI on Tuesday that Mokhnatkin, who is currently serving his sentence in a penal colony, complained about being denied medical aid and beatings. 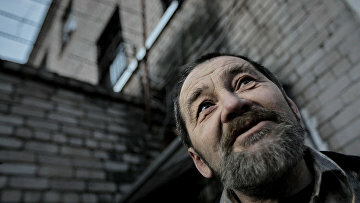 According to NGO For Human Rights, its head Lev Ponomarev has approached Moskalkova and Mikhail Fedotov, the Chairman of the Presidential Council of Human Rights, asking their assistance to transfer the opposition activist in a St. Petersburg hospital and grant his public defender access to Mokhnatkin. In June 2017, the Arkhangelsk Regional Court uphold the activist's 2-year prison sentence for attacking a Federal Penitentiary Service officer. In 2015, the Moscow City Court upheld his sentence of 54 months for attacking two police officers; earlier he was sentenced for attacking a police officer at an unauthorized protest rally in 2009. Dmitry Medvedev, then-President of Russia, signed a pardon decree with respect to the oppositionist in 2012.